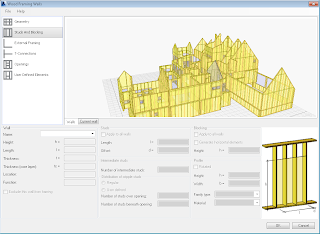 Using the Timber Framing tool you can generate timber structure for walls and roofs in Autodesk Revit software application. 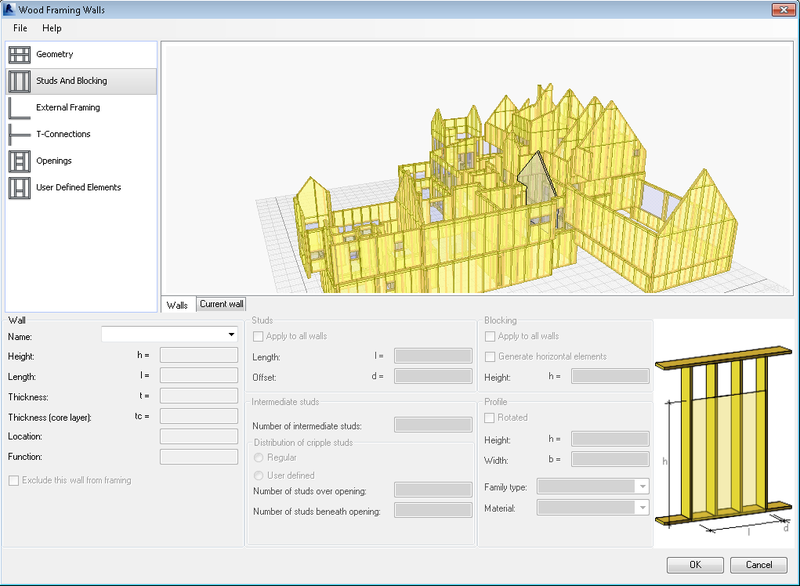 Timber Framing tool is composed of three extensions: Wall Framing, Rafter Framing and Roof Trusses. This extension allows framing selected walls. The extension imports walls, recognizes openings and presents them in a 2D/3D viewer. Walls can be individually framed with available framing parameters, such as: Connections, Studs, Plates, Blocking, Cripple studs, Headers, Sills. 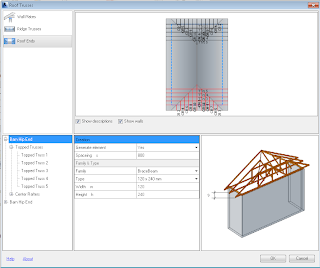 This extension enables the definition and generation of various types of “A” frame roof models. 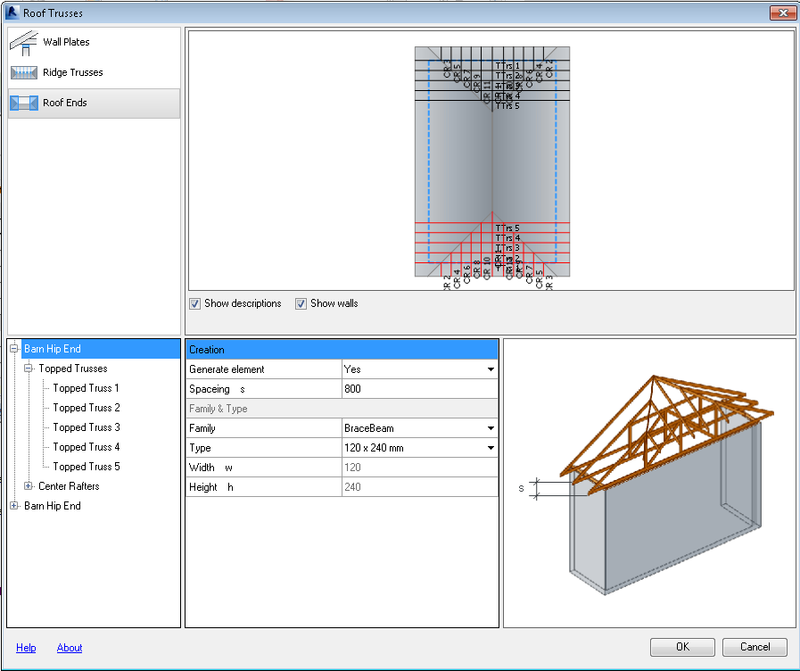 This extension enables the definition of truss system for roof models. You can define parameters for the following roof structural elements: Wall Plates, Ridge Trusses and Roof Ends. This subscriber-only add-in may be downloaded from the Autodesk Exchange Apps website. I've seen some videos of this extension, it comes with different stud dimensions, but can we change the dimension of the studs? I haven't tried the extension myself but would assume that this functionality is included. I can only point you to the vendor for additional information.